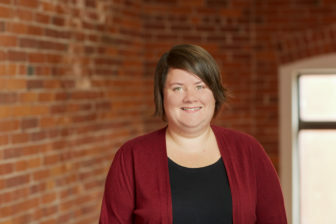 When Suzi Jensen went to see her mom in prison at the age of 12 she was only allowed to hug her twice, once at the beginning of the visit and once at the end. Jensen’s mother’s first prison sentence — four years, on grand larceny charges — was followed by subsequent arrests, leaving Jensen and her two younger sisters to largely grow up without their mom, and a secret they didn’t share with the outside world for years. One in 14 children nationally have experienced the incarceration of a parent, according to Child Trends. In June 2016, there were 8,248 incarcerated adults in Connecticut who reported being caregivers to a total of 18,034 dependents, according to the Department of Corrections (DOC). The number of children in Connecticut who are impacted by the criminal justice system is much higher, however, which experts say carries a trauma of its own. More than 62,000 children living in Connecticut in 2010 had a parent who was arrested, according to a recent publication from the Tow Youth Justice Center at the University of New Haven. In a 2014 study, parental incarceration was proven to be independently associated with increased risk of learning disabilities, attention deficit disorder, behavioral and conduct problems, developmental delays and speech or language problems. And one of the few things that has been shown to help reduce these negative health outcomes for both the child and their parent, is regular visitation. A child’s ability to continue a relationship – even on a limited basis – with an incarcerated parent has been shown to help prevent negative health and performance outcomes, including academic failure and substance abuse as well as decrease the rate of recidivism in their parents. Visiting gives children the chance to see their parents and be assured that they are safe. Without regular contact, kids may begin to view their parents as strangers and believe that their parents neither love nor care about them, according to a report for the Annie E. Casey Foundation. Today, the standard contact visit places a child across a folding table from their parent. 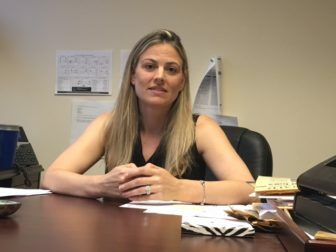 Contact visits are granted based on an inmate’s criminal status, as well as their behavior within the correctional facility, said Karen Martucci, director of the External Affairs Division of the Department of Corrections. Although the DOC does not offer video visits, it does allow for phone calls through a third party provider. But these visits, or phone calls, are not always possible. First and foremost, there’s the obstacle of the table. In addition to the table, the intimidating demeanor of correctional officers – standing nearby, uniformed and unsmiling – all around the room can make it nearly impossible for children to feel comfortable. Just over the border, in New York State, this is all different. “I toured New York maximum security prisons where there is full contact visits allowed for hours,” Yeager said. Incarcerated parents are allowed to hold their children. Families can cuddle on couches. The children’s areas are filled with toys, and feel much more like a home. Almost two years ago, Connecticut opened its first full contact unit at a facility in Cheshire for inmates ages 18 to 25. The True Unit is focused on preserving families and giving inmates an opportunity to stay connected with their loved ones. A second similar unit – The Worth Unit – opened just this year at York Correctional Institute, the state’s only prison for women. However, there are undeniable risks. Visitation rooms are considered the most vulnerable place in a correctional facility — the weakest link. Judy Dworin, founder of the Judy Dworin Performance Project. Although traditional visitation continues to look like it is portrayed on TV, with folding tables and hard tiled floors, a handful of non-profit groups across the state — with the help of the DOC — have made other, more fulfilling, types of visits possible. 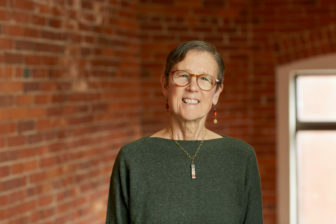 After Judy Dworin – founder of the Judy Dworin Performance Project – established the Performance Residency at York Correctional Institute in Niantic, Dworin realized that something needed to be done for the children of the female inmates. The program began with children in Hartford whose mothers were in prison. The children and parents attended separate group sessions and then joined together for a creative performance opportunity. These sessions give mothers and children the opportunity to hold hands, dance together, have conversations in a more comfortable environment, and share a meal. “It was a beautiful three-hour engagement, very powerful for everybody,” Dworin said. This year, in addition to the Mother’s Day and summer visits, Dworin’s group will be incorporating a holiday visit. And for the children, it not only gives them a way to connect with their parents, but also with others like them. 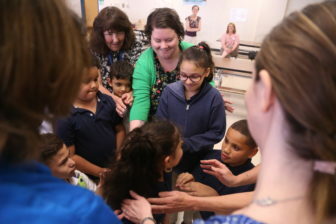 “The first thing the kids said that they wanted was to meet more kids like them, it was such a tremendous release to be with other kids experiencing the very same thing,” Dworin said. Jensen, who is now the Programming Coordinator for the Judy Dworin Performance Project, said that having an opportunity to share their emotions in a place where everyone can empathize is huge for these kids. In addition to the program at York, in 2016 Dworin launched a program for fathers at the Cybulski Reintegration Center in Enfield as a part of Gov. Dannel P. Malloy’s Second Chance Initiative. The program allows time for fathers to reconnect with their children and partners in activities like dance and arts and crafts, things that truly make them feel like a family, Dworin said. There were once a total of six organizations like Dworin’s that provided resources and services to children with incarcerated parents. In the past year, however, that number has been whittled down to just four due to the closures of two programs including Families in Crisis. When the Children with Incarcerated Parents Initiative at the Institute for Municipal and Regional Policy at Central Connecticut State University first opened in 2008 it had a $500,000 line item in the state budget, in addition to several projects that had separate state funding. In 2017, this totaled nearly $900,000. Instead of the research the office once did on this understudied population, Yeager said, they now mostly just provide technical assistance and training. This continuation is made possible by an endowment created at CCSU following the closure of Families in Crisis, a nonprofit that helped the children of incarcerated parents and partnered with Dworin’s programs.